At the start of the year I was told that we were all going to Thailand at the start of February. The first thing that came to my mind was the flight. I was so worried and nervous. I didn't even think about Thailand itself for quite a few days. I knew the flights were long and when the flights were booked, I had a look at the papers and they were 12-14 hours long. All sorts came to my head. Would they sleep? Would they scream and throw tantrums on the plane when other passengers wanted to sleep in peace? I was trying my hardest to think what I could do to make sure they were happy on the plane. Luckily, we were on planes with TV's. So that was a big plus. They also provided children sized meals, and we were lucky enough to be given child activities on each plane. 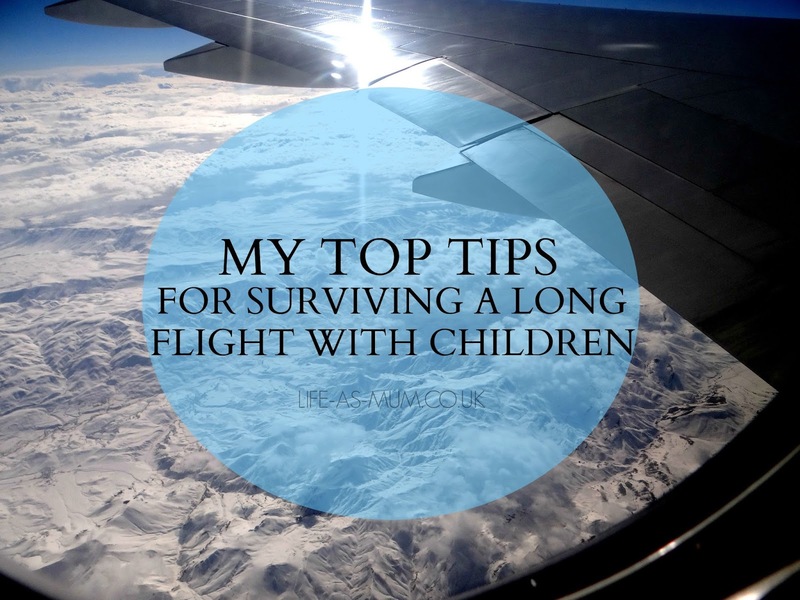 Travelling on a long flight can be quite daunting, so here are my top tips from my experience on how to survive a long flight with your children. 1. Entertainment - On a long flight it is always a good idea to bring some entertainment things with you. iPads were our best entertainment on the plane. You could also bring some colouring books, pen and papers, activity books and other travelling games. 2. Be calm - Being calm is the best way to cope with a long flight with children. Although you will probably feel so stressed, we all know that if we show stress and impatience, your child will be too. 3. Plan ahead - Make sure all tickets and passports are in places that you know and able to reach when you arrive at the desk. 4. Comfort - If your child has comfort blanket, teddy or dummy make sure you bring them with you! May help them sleep better if they want a kip. 5. Snacks - Some planes don't provide meals or snacks. So be sure as you are booking your tickets, to check if there are meals in with the price or not. Even if there is food/snacks on the plane you are travelling, you could still bring some of your child's favourite snacks along with you! Have you any tips for parents preparing to go on a long-flight with children?